14 incredibly fun rides to enjoy. We’ve got you covered for kids aged 0 to 8 years old. 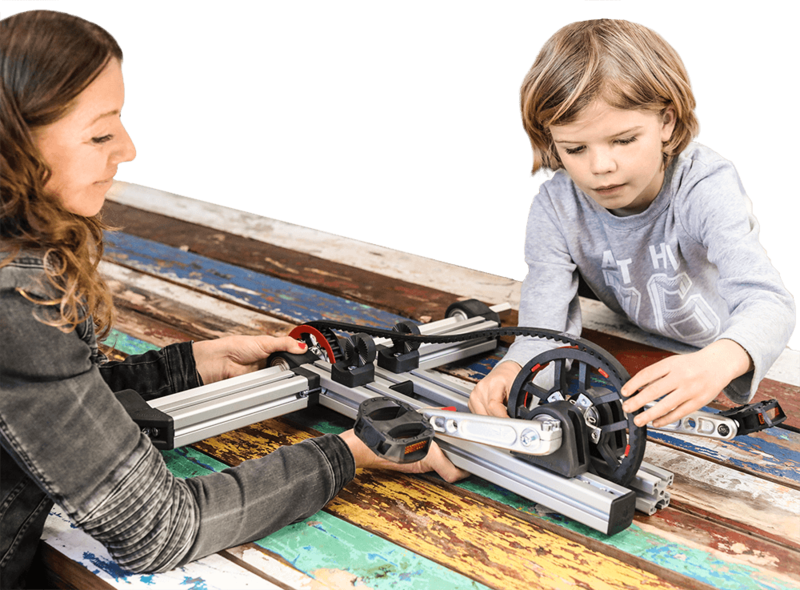 Start your Infento journey and have a great time by building together with your child. Teach them to walk with our Turtle walker or let them use their hands on the Gecko to zigzag around the living room. What you can build with your family - 14 Rides! Ready to take the first steps of your life? The Wallaroo is here to help! The rear caster wheels make it easy to change direction as you go along. They can even be locked to provide a bit more stability at the beginning. The big front wheels make the ride super stable and the crate offers plenty of room to bring your favorite toys. You’ll be running in no time with the Wallaroo. Did you just start walking? Then jump on the back of the Turtle. With a sturdy, soft-grip handlebar and comfy seat you will feel comfortable to start moving around by using your legs. The front caster wheels ensure you can steer easily and start exploring! The Turtle will make it easy. As long as you’re not in a rush, of course. Our Rider has evolved, meet the new version! The three big rubber wheels ensure a smooth, stable ride indoors and out. 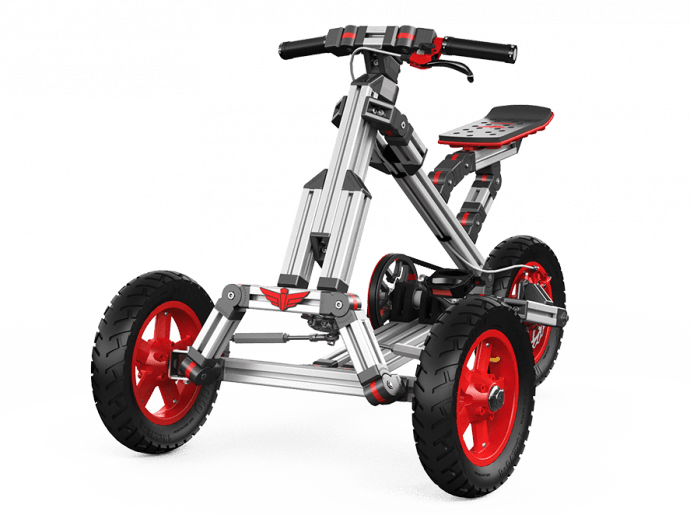 With a low center of gravity, this sturdy and beautiful walker tricycle is the perfect ride to build after you’ve outgrown the Turtle. Keep on moving! Go for a ride with the Streamer! Place your feet on the footrest and start moving. Once you ramp up the speed it’s time to steer using your hands. The silicone wheels ensure a smooth ride and fun times. The Trimax offers stable fun thanks to its two wheels at the back. The perfect stopover before the Skitter. No need to focus on the balance, just scoot and learn how to maneuver. Don’t forget to wave at the neighbors when they see you whizz by in style! Learn how to keep balance. Understand the concept of steering towards the direction of where you’re falling instead of going against it. With the Balancer you will be ready for a bicycle in no time. Height, distance to the steer and angle of the seat can all be adjusted. Very handy when you’ve grown a bit. Skitter is a fast and good-looking scooter. It’s incredibly strong and steers very swiftly. The ball bearings in the wheels guarantee a super silent ride. Just enjoy the feeling of the wind. Losing speed? Pedal with your foot and you’re on the move again! This is yet another unique creation. Put your feet on the profile. Place hands on the handlebars. Zig. Zag. Zig. Zag. Because of weight distribution and the caster wheels you start moving forward. And it doesn’t end there! Want to go faster? Get your hex key, change the angle of the front profile and gain more speed. This ride may be tiny, but it still supplies unlimited indoor fun. To start going forward simply place your knees on the pads and move the handle from side to side. And voila, you are whizzing around the house in no time, like a gecko. How do you put this crazy Caterpillar in motion? Sit back in your seat, place your hands on the aluminum profile, put your feet on the handlebars at the front and start wiggling them from side to side. Once the swivel motion propels you forward like a kind of magic, it’s time to make your own obstacle course! Let your feet steer you around the kitchen island and behind the chairs. Don’t forget to turn at the hallway! The Flowmotion provides a fun and unexpected way of zooming around. Just put your feet on the back pads and start swaying the hips! The pressure from your weight and the swivel of the caster wheels at the back will set you in motion immediately. Like magic! In for even more action? Try mastering the 180 or even the 360 degrees turn! Want to feel the soft breeze? Hop on our 3-wheeled scooter! It’s is equipped with a patent-pending lean-to-steer system. Simply lean in a desired direction and the Breeze will follow. 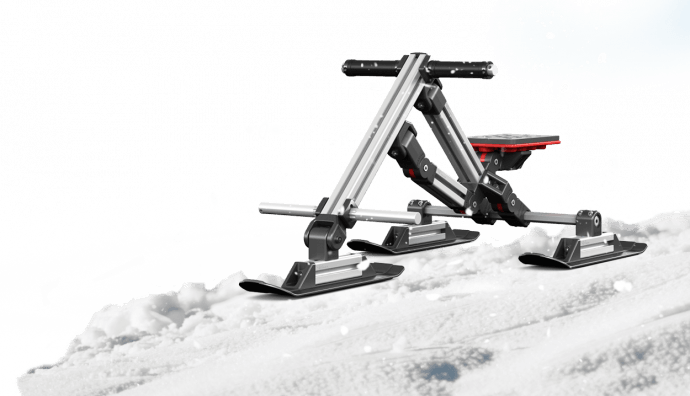 Thanks to its Stabilizr® system, the ride will immediately reverse to its default position once you stop leaning. Want to enjoy an ice cream? The stainless steel front brake allows for a smooth and safe stop. 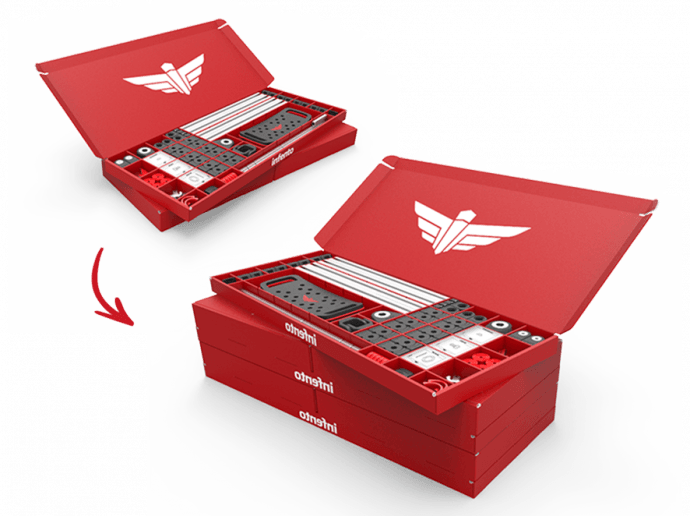 Add new features and functionality to this kit! Looking to brighten up the dark winter days? Want to give your child something to personalize his or her Infento ride? 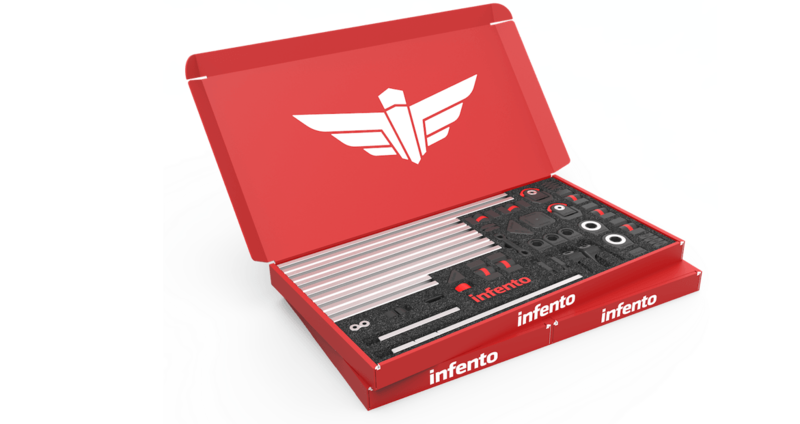 Infento LED is what you need. Just click the strip in the profile and choose the effect you like. Time to ride and shine!